Just like ‘movie’, ‘awesome’ and ‘take-out’, the American phrase ‘Black Friday’ has integrated with ease into Brits’ vocabulary. 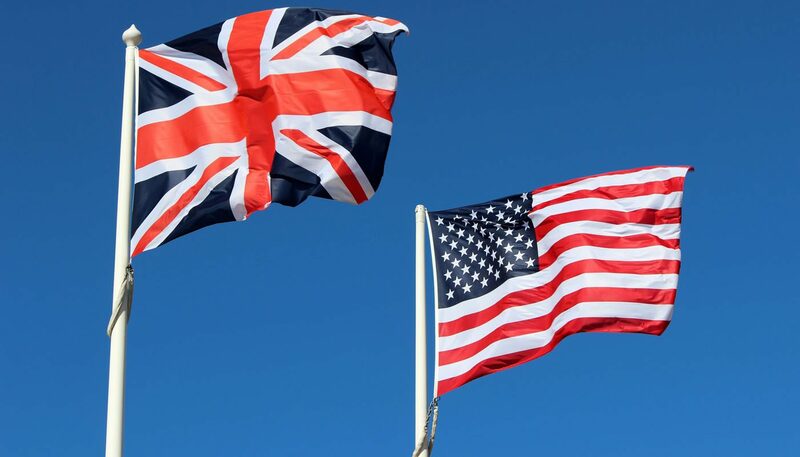 It may be as American as the stars and stripes, but Black Friday has been embraced by UK retailers with open arms, allowing them to offer consumers fantastic deals. We take a look at the origins on Black Friday, and why it’s become so popular over here. Black Friday occurs on the day after Thanksgiving, and unofficially marks the start of the Christmas shopping period. Most Americans get the day off from work and school, meaning they’re free to hit the shops and start preparing for the festive season. Although the phrase’s exact origins are not known, it was first used on frequent basis in the 1960s by journalists reporting on the hordes of people heading to the stores. The sheer volume of sales made on this day brings retailers out of the red and into the black – hence the name. Why did it come to the UK? Unsurprisingly, an American e-tailer brought it over. Amazon introduced Black Friday offers to the UK in 2010, and things have never been the same since. Other retailers soon followed suit, and who could blame them? In 2014, Amazon sold 64 products every second on Black Friday. Amazon wasn’t the only retailer that profited thanks to heavy discounts, though; 2014 was a massive success for many retailers. Big Data Labs reported that overall online transactions increased by 118 per cent compared with Black Friday 2013. Ideally, you need to start preparing for Black Friday as soon as possible. The day may have brought in huge profits for some retailers, but many were not ready for the sheer volume of customers that visited their website or store. According to IMRG, online sales were 50 per cent higher than industry experts predicted them to be and, as a result, retailer’s sites crashed and consumers became frustrated. Amazon, of course, knew what to expect and was well-prepared. Its site had no problems at all. Your site also needs to be mobile friendly. On Black Friday 2014, smartphones accounted for 29 per cent of all traffic, with tablets responsible for 16 per cent of visits. Unlike Americans, us Brits don’t get the day off of work to shop online so we’re increasingly turning to our mobile devices to sneakily check sites at work or squeeze some quick purchases in on the train ride to the office. 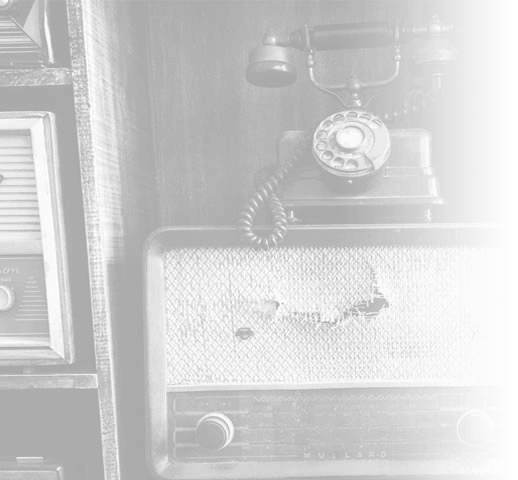 If your site isn’t optimised for mobile, those consumers are going to struggle to navigate your site with ease. Customers hunting for Black Friday bargains aren’t going to waste their time with your broken website, they’ll just head somewhere else instead. Optimisation is vital, and not just in terms of your website, Coralie Wood, PPC specialist at Vertical Leap, explains. Businesses should also know what products they plan to cut the prices of ahead of time in order to make the most profit. 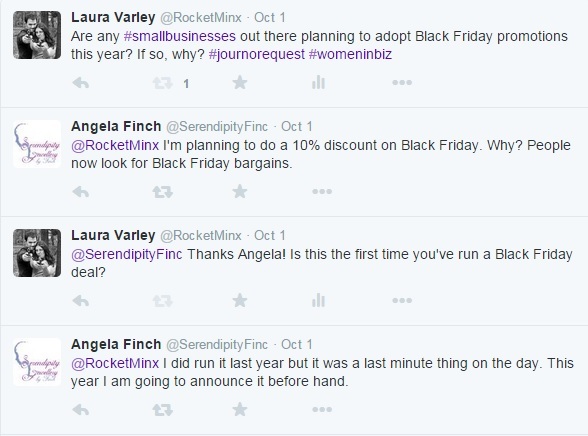 Small business owner Angela Finch explained that she ran last-minute discounts during Black Friday 2014, but she won’t make the same mistake this year. Black Friday 2015 – what can we expect? After 2014’s Black Friday, many retailers seem to think the competition will be a bit more selective when it comes to discounting this year. Putting too many items on sales can be bad for business, as retailers will want to sell as many products at full price as possible before Christmas to really boost their margins. Robert Mead, marketing manager at Parcel2Go.com, commented that smaller businesses may feel as if they have an obligation to participate in Black Friday. Just because bigger retailers attract the lion’s share of consumers looking for Black Friday deals, it doesn’t mean smaller businesses can’t benefit from the day. 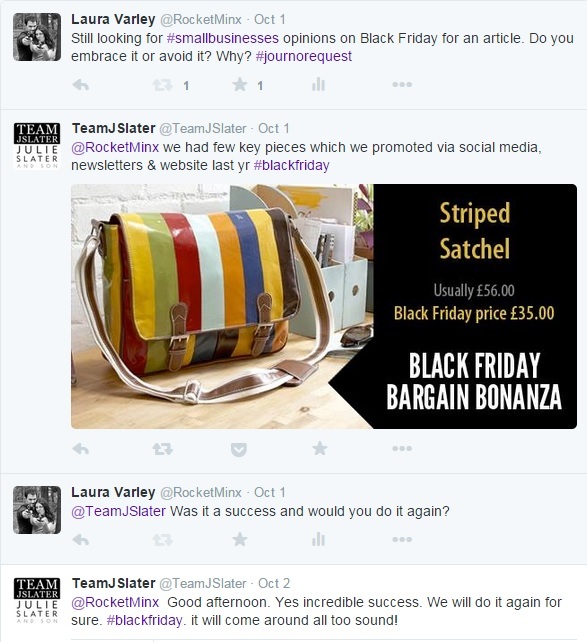 Julie Slater and Son told us that 2014’s Black Friday proved to be very successful, and that special offers appear to be more attractive to consumers than just a site-wide discount. Considering consumers spent £810 million on Black Friday 2014, it’s clear that we can’t get enough of the American holiday. However, there are many consumers out that that dislike the day; some purely because it’s a US tradition, others because they hate the disruption it can cause. Consumers who are fans of Black Friday seem to prefer shopping from their computer, rather than braving it to a busy store. Businesses need to pay attention to how consumers feel about the holiday in order to make the most profit. If shoppers prefer online deals, then perhaps it’s worth investing more in these rather than in-store discounts. Whatever you choose to do, it’s important to prepare for Black Friday now because, whether you like it or not, it’s now one of the busiest shopping days of the year. Each week until the end of November, we’ll be sending out tips and advice from our PPC experts to help you make the most of the big event.